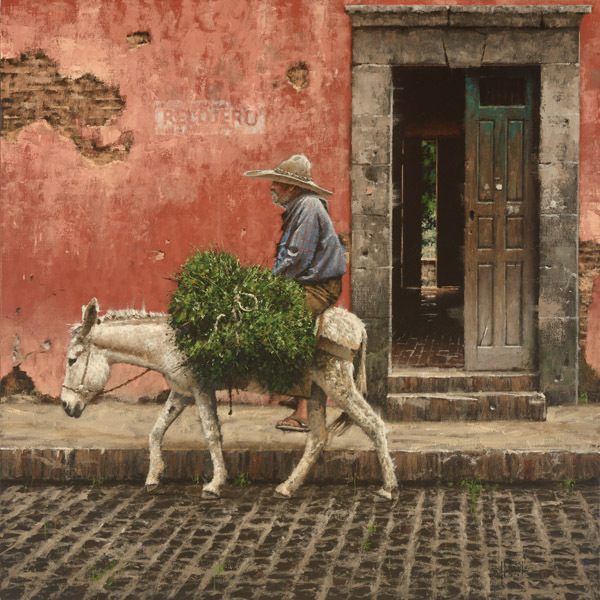 The old man, Pablo, and his partner, Blanco, the white burro, have traveled these cobblestones for years. Occasionally, they will stop under the weathered sign of the watchmaker "relojero" and visit a while with their old friend. Today, however, they hurry home for fresh tamales and sweet alfalfa. Another day passes.